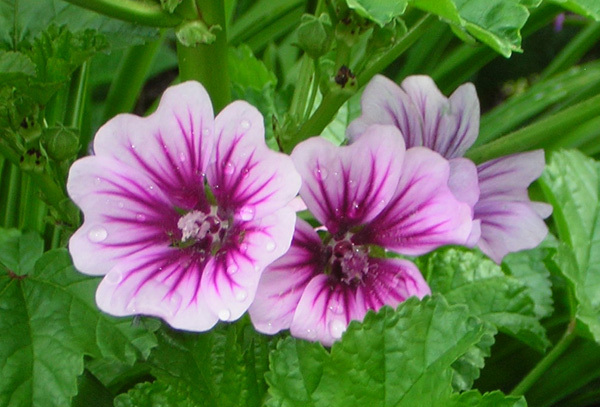 This is close relative to the hollyhock, a French mallow. Actually, we planted this plant the first spring we were in our house. It bloomed profusely and then went to seed. We thought nothing of it until the next year when mallow plants were absolutely everywhere! We’ve been trying to get rid of them ever since. But this hardy plant came from a seed two years old and we decided to let it grow. Probably a mistake, but for now you must admit it’s lovely.